Agricola Redesign | Four Tips for a Great Fourth of July! Four Tips for a Great Fourth of July! 1. Red, White & Blue Yard Decor. Be sure to decorate your yard with red, white, and blue. You can put up balloons, streamers, and American flags to show off your patriotic pride. Don’t forget to add lanterns or cafe lights, too. You can even keep them up throughout the remainder of the summer as you relax and enjoy those beautiful summer nights outdoors. 2. Serve patriotic food. Of course, hamburgers and hot dogs are a MUST on the Fourth of July, but don’t forget to carry the red, white, and blue theme over into your menu. Serve strawberries, blueberries, and other red-white-and-blue foods that will honor the U S of A with each delicious bite. 3. Don’t forget your camera. Capture Kodak moments with your camera as you bring out everyone’s inner child with sparklers. Remember how fun it was to dance around with them when you were younger? You’ll love doing the same thing with all the kids (and kids at heart) in your family this year. 4. Plan a neighborhood parade. Of course your town or city is going to have a parade, but why not have one of your own? Get the neighborhood families together and invite the kids to decorate bikes or go-karts. Let them go all out in their decorating and have a few friends be the judges to hand out awards at the end of the parade! Follow-up the parade with an adult dessert contest to get everyone involved in a little friendly competition. It’s always fun to bring people together and if you don’t know your neighbors that will this is the perfect opportunity to break the ice and start making memories together! And if you already know them like they’re family, it’s just another great reason to get together! 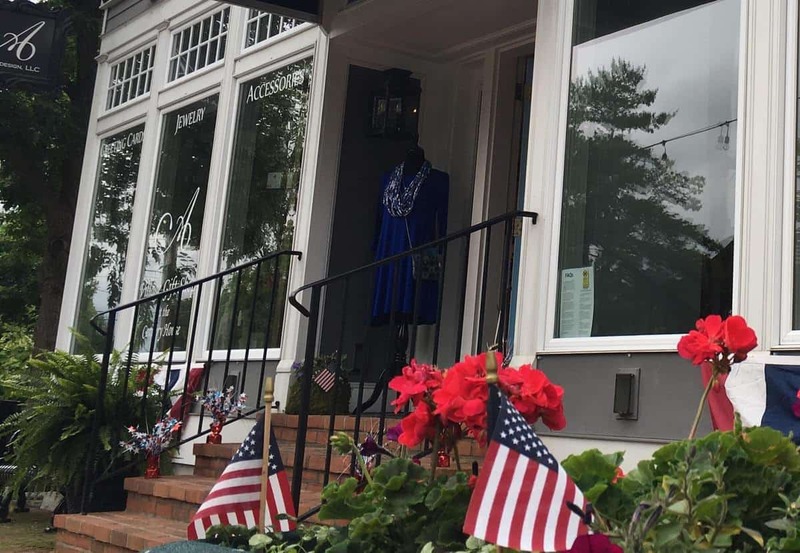 You can find items to decorate for your Fourth of July party at A Village Gift Shop. We have dips, beer bags, hand towels, and other decor that will make your party one to remember. Stop by and see us at 3 Village Square in Glendale.